Time appears to go by faster and faster. I'm happy when I can take the chance to write a word or two here once a month. I always wonder if I'll be reading these words in many years, and what kind of memories they will stir. June came and went just like that. The highlight of the month was a weekend-and-a-bit trip to Halifax to thrust Peter into his bachelor party and start counting down the days until the knot is tied. It was a well-planned weekend, with lots of fun activities. The entire thing was a surprise, with the kick-off event being a Friday evening restaurant dinner he though he would be enjoying with his fiancée. 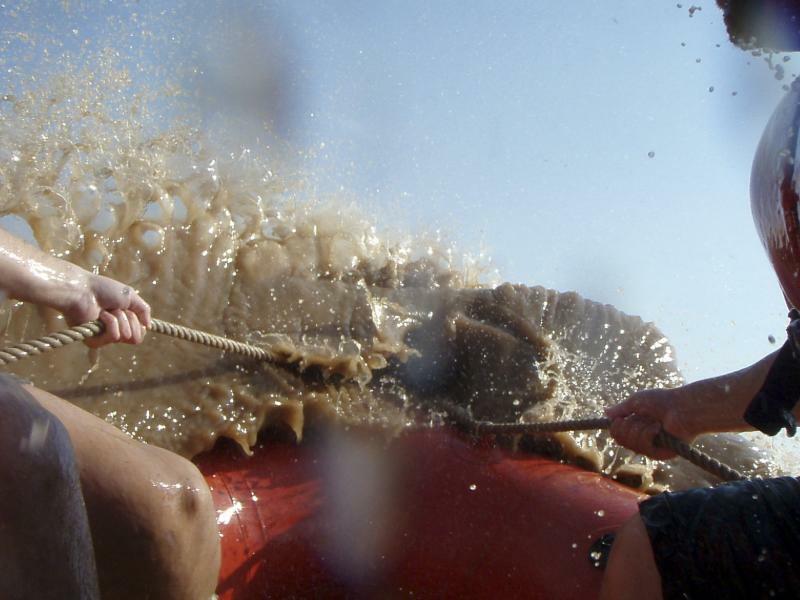 The most memorable event was the tidal bore rafting, in the very silty waters of the Shubenacadie River, where the tide change is over 10m, causing serious waves; enough to easily fill a Zodiac to the brink. The trip was totally worth it. Halifax made me appreciate (once again) the differences between East- and West-coast attitudes. I once wrote that the West coast seemed more refined, posh, and I possibly even hinted that it was more fun. I'm glad to say this trip made me reconsider the East. It seems more normal, more likeable. Perhaps the word is friendly. Last week was my brother's high school graduation. It brought back memories of my own high school years. Again, time flies. Finally, with tomorrow comes the introduction of the new Harmonized Sales Tax. Considering I'm already a little depressed with the current state of the economy, this new tax grab upsets me. I suspect tonight was the last night I'll ever see gasoline for under a dollar per litre. There will be a lot of angry people next week who have been ignorant to this point and do not know what they are in for.